There are many things for the younger members of your party to do around and about all our Party Houses in the Peak District. Firstly, how about a list of free activities? The RSPB Coombes Valley Nature Reserve near Leek, has lots of trails for youngsters to follow, a Young Woodland Loop which is suitable for walking with pushchairs, and often hosts children’s events. It is free to enter! At Tittesworth Water, near Meerbrook, there is a lovely free children’s playground (and a tea room for the Mum’s). On the other side of the lake, The Lazy Trout beckons for lunch, with a garden for the kids to enjoy (and beautiful views over the Roaches). The Manifold Valley is also a great place to go for a walk as it is a disused railway line. So it is both flat and also tarmaced, which means it is suitable for pushchairs. Brown End Cycle Hire at Waterhouses (at one end of the Manifold Valley) gives discounts to Party Houses guests and you can also hire bikes with little trailers for the wee ones behind! Pottery painting in the heart of the Potteries, we especially like Royal Stafford and Bridgewater China (especially as a Mum can buy great factory seconds bargains at the same time!). Visit the Museum of Childhood at Sudbury Hall (National Trust) . Re opened in 2008 after multi £ millions have been spent, it was good before and is fantastic now! Visit Styal Mill. This is a National Trust property which explains and demonstrates the life of those working in a cotton mill (including the house where the children apprentices lived complete with the leeches they used for medical purposes and a school room). 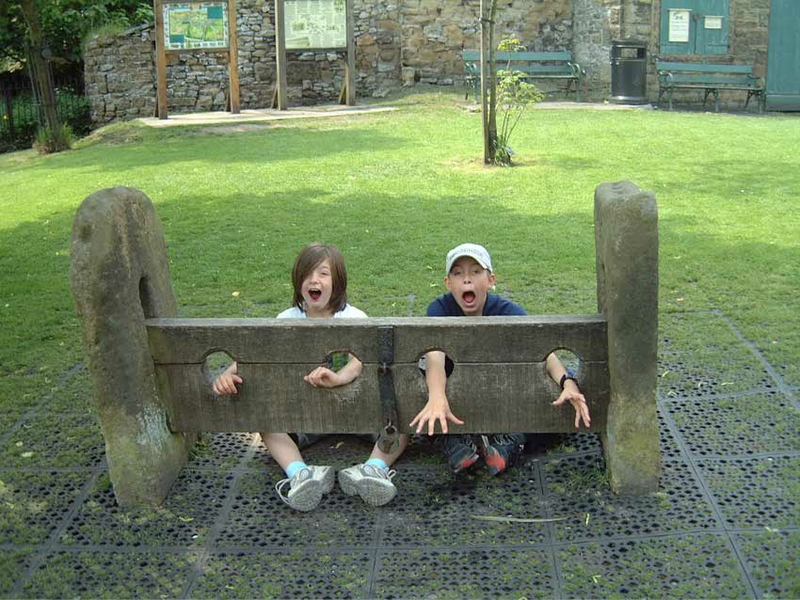 If ever your children shout ‘it’s not fair’ take them here to remind them of how lucky they are, compared to those youngsters of the olden days! Water World at Festival Park in Stoke claims to be the largest water flume park in the country – a good one to wear them out! (But get there close to opening or late afternoon to avoid the bigger queues for the flumes). Visit Hill Billy Ice Cream in Wildboarclough. Made on the farm (you can see all the baby animals too), it is fresh and delicious. The famous Alton Towers is about 20/30 minutes away, or a bit further is Gulliver’s Kingdom at Matlock Bath (you can also take a cable car ride here) or Drayton Manor Theme Park near Tamworth. As well as the scary rides, Drayton Manor has a zoo and the famous Thomas Land – 12 themed rides based on the Thomas the Tank Engine characters (www.draytonmanor.co.uk). For fun in the outside without spending any money, a treasure hunt can be enjoyed by adults and children alike. See our page on Orienteering and Treasure Hunts for more ideas. 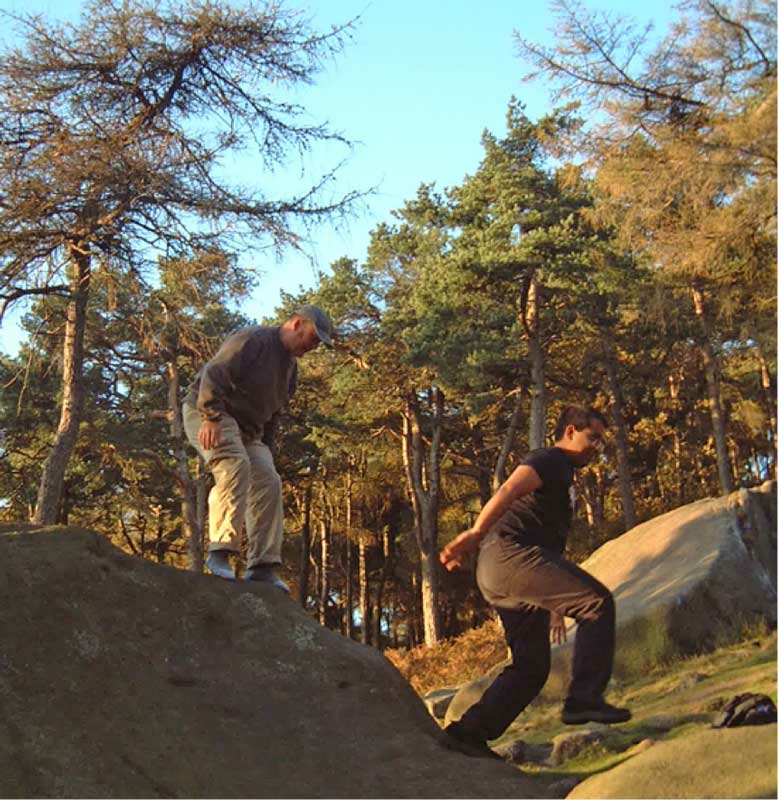 Instead of the indoor climbing wall, take them to The Roaches where they can scramble around on rocks for real. Don’t panic, we are not suggesting that they climb the huge rock faces, but there are a number of big boulders laying all over the ground, just right for active youngsters. This is just a selection of ideas if you have any specific interests let us know and we will try to help find the local equivalent.